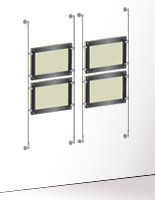 Are you looking for 8.5 x 11 wall sign hardware that combines style, versatility and quality? 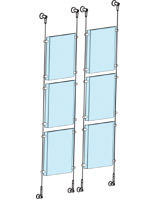 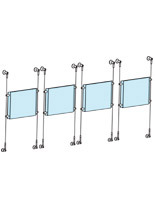 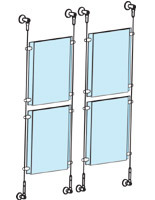 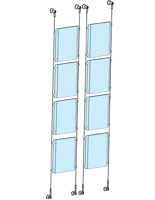 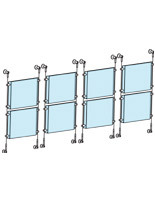 These clear acrylic wall mount graphics kits meet all of those requirements and more! 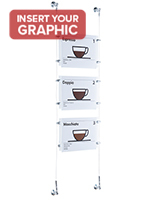 Hanging signage is one of the easiest ways for any store or business to increase foot traffic and drive sales. 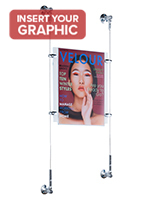 The 8.5 x 11 wall sign hardware, called wall mount graphics kits, bring a fresh and modern look to marketing presentations and are popular ways to update existing poster frames. 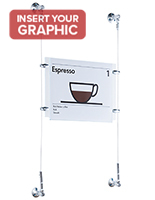 The top-loading clear acrylic frames make it simple to refresh images when company marketing changes. 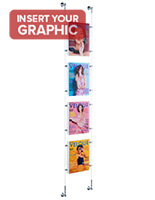 The affordable 8.5 x 11 wall mount graphics kits put the focus directly on your promotional images. 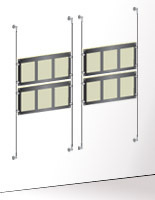 The 8.5 x 11 wall sign hardware with clear frames won’t be missed, especially when LED illuminated holders are used alone or in combination with another anchor system. 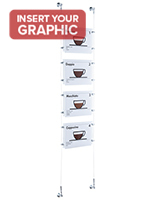 These cable suspension kits take only minutes to install and fit standard-sized graphics that can be printed on paper at businesses and quickly slid into place. 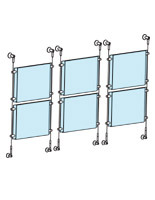 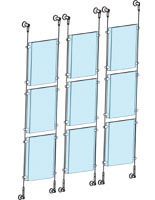 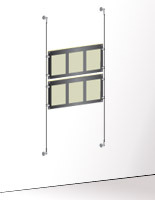 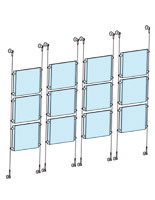 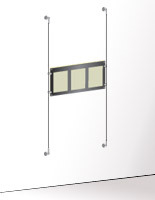 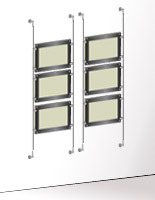 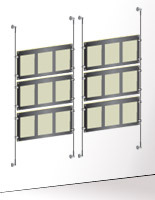 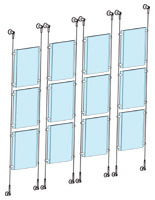 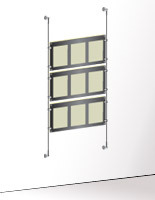 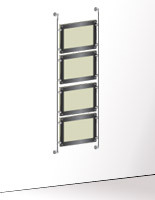 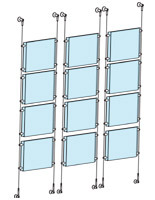 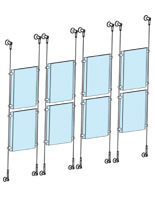 What fasteners and accessories are included in the wall mount graphics kits? 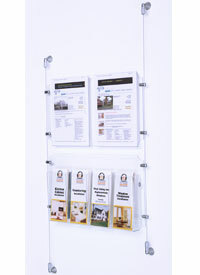 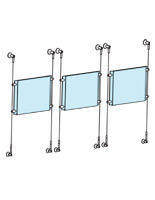 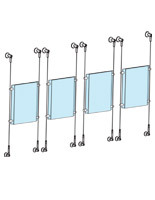 This 8.5 x 11 wall sign hardware has 1.7mm plastic coated stainless steel cables to provide support for the system. 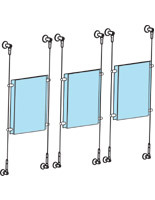 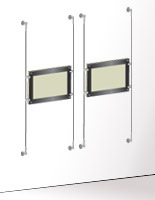 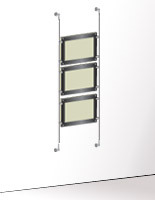 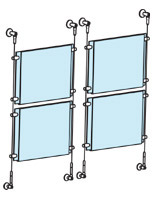 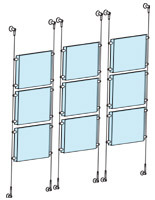 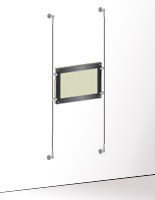 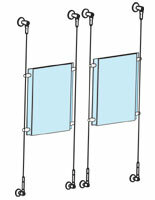 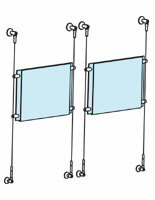 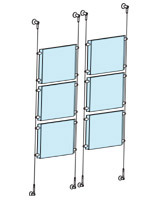 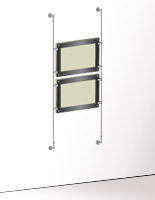 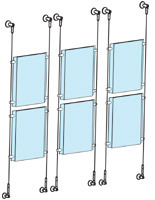 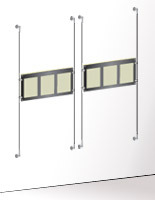 Satin silver hardware anchors mount the structure to walls and secure the panels together with grip-lock standoffs. 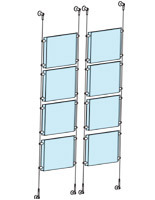 These mounts are aluminum and just as strong as stainless steel, but more affordable. 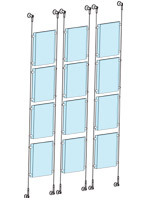 The 8.5 x 11 wall sign system has clear acrylic frames to keep your graphics supported and safe from damage. 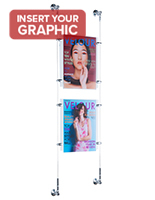 The poster displays are made in either vertical or horizontal orientation and feature a fold over, top-loading design for quick signage changes. 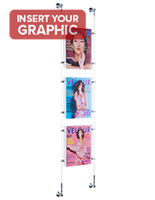 These systems provide users with a longstanding showcase for promotional graphics that incorporate a modern, minimalist look great for companies with a contemporary interior design or owners who are looking to reduce clutter on their sales floor. 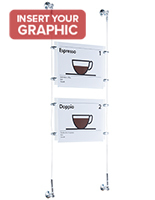 Restaurants use the hardware to display the menu in the entryway while guests are waiting to be seated, or to showcase the daily specials with their easy updating frames. 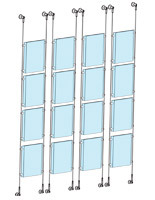 These mounts are a popular choice for service businesses such as banks, travel agencies, and real estate firms as a way to let customers know about the newest products being offered or what properties have just hit the market and are ready to be sold. 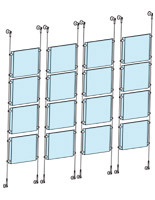 The 8.5 x 11 wall sign systems can even be found in art galleries as a new and exciting way to exhibit prints, sketches, and paintings.